A small business with non-profit aspirations. This small business owner came to us seeking to expand into the nonprofit sector with her clever floral arrangement business. 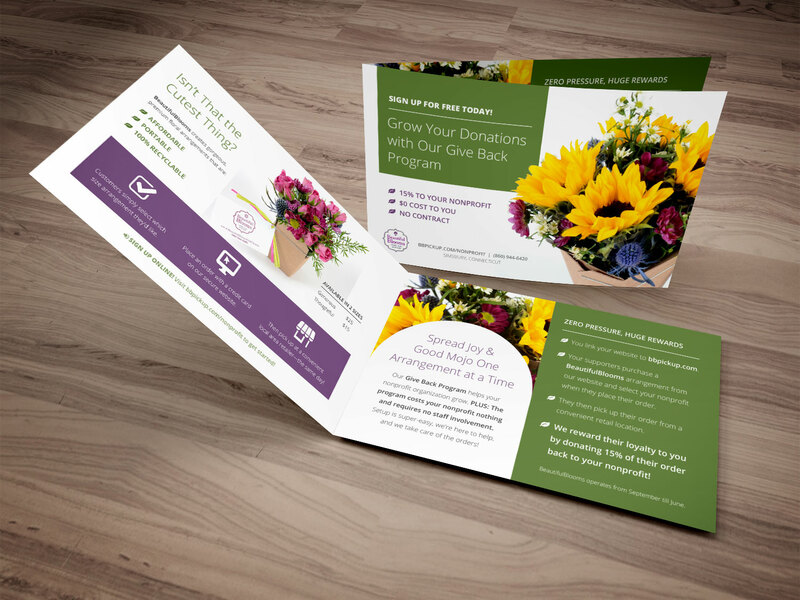 Her brand-new Give Back Program was designed to entice non-profits to encourage their donors and fans to purchase flowers from BeautifulBlooms and reference the non-profit’s name. As a result, 15% of each purchase would be donated back to the non-profit. We designed a horizontal tri-fold brochure to be handed out to prospective non-profits with clear messaging, ordering instructions, and descriptions of the program. We advised her in-house web development team to implement a targeted email marketing campaign and a landing page, to be integrated prominently into her existing website. For now, program launch is on hold as the client tries to increase revenue. 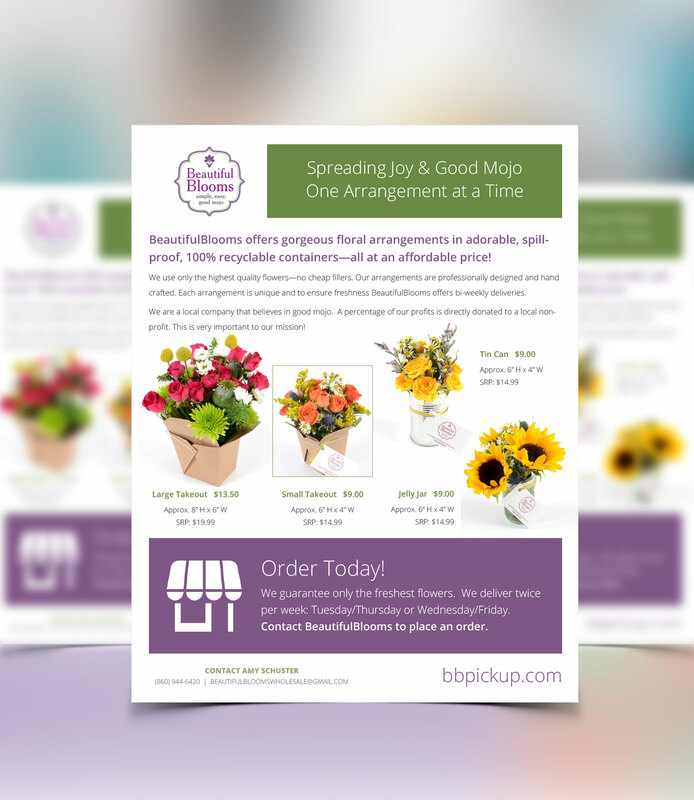 To support those efforts, we have designed for her two one-page sell sheets to be distributed to local retailers featuring her range of products and ordering information.